You know you need one. But what do you need to look for and how the heck do scuba diving regulators work anyway? We will attempt to end the mystery here. A scuba regulator is obviously an essential piece of scuba gear. 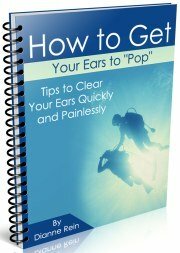 After all, it's the only way you will be able to breathe underwater. They look fairly complicated but the basic structure is pretty straightforward. The job of the scuba regulator is to decrease the high air pressure in the scuba tank to the ambient, or surrounding, water pressure so you can breathe comfortably. So how does that happen? It actually occurs in stages through mechanisms built into a regulator. The first stage attaches to the scuba tank and reduces the air pressure coming from the tank. 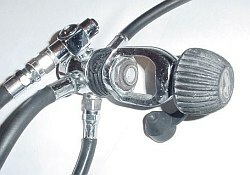 It attaches to the top of the scuba tank, usually with a knob/screw type mechanism (see photo). Technically, this is called a yoke fitting. There is another type of fitting which screws directly into the tank valve called a DIN fitting. This is more common for technical diving. I will show only the yoke fitting here since this is standard and what you will typically see for recreational diving purposes. The first stage reduces the air pressure coming from the tank from about 3,000 psi (pounds per square inch) to about 150 psi or intermediate pressure. So a first stage regulator has 2 pressure chambers, one a high pressure chamber and the other an intermediate pressure chamber. A regulator must also compensate as the pressure decreases in the tank (as air is used) and as the diver changes depth (changing the ambient water pressure). This is accomplished via a mechanism inside the first stage which is either a diaphragm or piston construction. 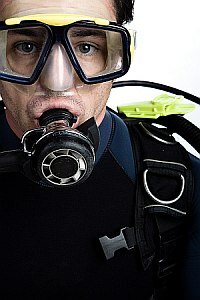 Whichever construction the regulator has, it starts/stops the air flow as the diver breathes in/exhales. When you breathe in, the pressure in the compression chamber (for a piston construction) lowers, causes the piston to move into the open position and starting the flow of air. The reverse happens when the diver exhales and the airflow ceases. I don't think it really makes a difference whether your scuba diving regulator has a diaphragm or piston construction if you are only diving in the warm waters of the Caribbean. First stage scuba diving regulators are also classified as balanced or unbalanced. 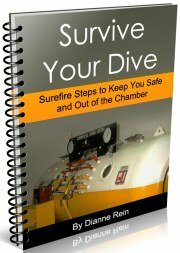 Basically a balanced first stage delivers pressure at a constant rate throughout the dive. 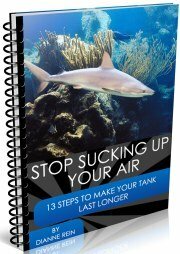 It is not affected by the amount of pressure in the tank (which decreases as the air is used). The lower end of scuba regulators may be unbalanced so you could notice a change in breathing capability as the pressure in the tank decreases. Unbalanced regulators are cheaper to manufacture which is why you may find them in the lower end regulators. If you are only diving in the warm water of the Caribbean, these should be fine if that's what you can afford. 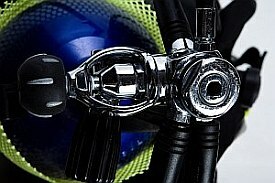 The first stage of a scuba regulator is also classified as sealed or unsealed, meaning water can enter the first stage. Again, if you are just diving the clear, warm waters of the Caribbean, an unsealed should work fine (and is cheaper). However, if you do any cold water diving get a sealed first stage since the water could freeze. 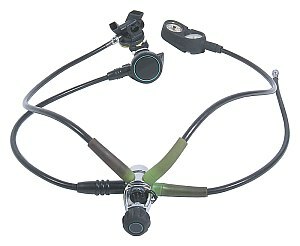 The first stage of scuba diving regulators also has several ports which connect other parts of the regulator. These can be high pressure or low pressure ports. Low pressure ports are used to connect low pressure items, via a hose, such as the second stage (see below), octopus (alternate breathing source) and inflator hose. The high pressure ports connect high pressure items such as your pressure gauge or dive computer. The second stage is basically the piece of the regulator that goes in your mouth and delivers air upon demand. It contains mechanisms that reduces the intermediate pressure in the hose (coming from the first stage) to the surrounding water pressure making it comfortable and easy to breathe. Similar to the first stage, the second stage also contains a piston or diaphragm construction which starts and stops the airflow. The second stage contains the mouthpiece, an exhaust valve and an emergency purge valve/button. The exhaust valve lets the air escape into the water when you exhale. It is a one way valve and does not let water in. When the emergency purge button is pushed, it forces air to flow continuously into the second stage chamber. This will force any water out of the mouthpiece and air will flow into the mouthpiece (allowing you to breathe) or out through the exhaust valve. The octopus is a second stage regulator that attaches to the same first stage as your main second stage regulator. The octopus is there for a back up in case something happens to your main second stage regulator or in case your buddy (or another diver) needs it. I've seen several people breathing off their buddies' octopus at the safety stop since they had run out of air. Definitely not a practice to endorse. The octopus usually has a bright yellow house, to distinguish it from your main second stage and making it easier to find. In addition, the hose that attaches the octopus to the first stage is also longer than the hose connecting your main second stage, making it easier to share with a buddy. Also available now are the combined regulator/inflator BCs. In this design the octopus is no longer required since the backup breathing source is on the connection that inflates your BC. 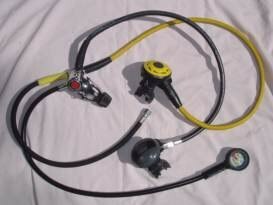 Another piece of scuba diving regulators is the inflator hose. This connects to a port from the first stage and connects to the inflator valve on your BC. Thus when you push the valve on your BC to inflate the BC, the inflator hose will deliver air from the tank, through the hose and into the air bladder of the BC. Well, there you have it, the nitty gritty detail of how a scuba regulator works. I hope you didn't fall asleep out there. Actually, though, it is good to understand how a regulator works since it is such an important piece of scuba gear. But no matter how it works, just go use those scuba diving regulators and have fun! 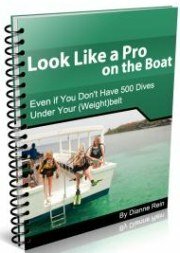 Looking for other scuba equipment and accessories? 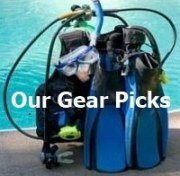 Check out our picks for top dive equipment in all categories and price points. 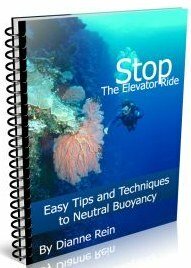 Want to stay down longer and improve your buoyancy control and other diving skills? 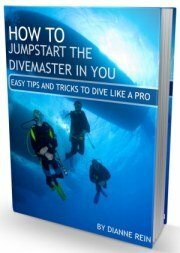 Our free report "Increase Your Bottom Time" along with our practical, weekly actionable tips will have you looking like a seasoned diver in no time. So come join us and see improvement on your very next dive! Scuba Diving PopSockets: Love scuba diving and your phone? These scuba themed PopSockets will show your love of diving and the ocean. 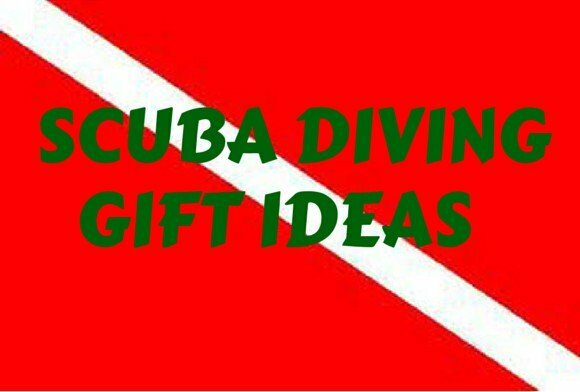 Great gift idea for any diver. See our choices for the best scuba equipment for any budget. 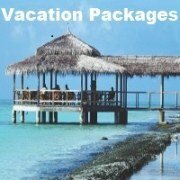 What you need to know (and ask) before you book a dive vacation package.